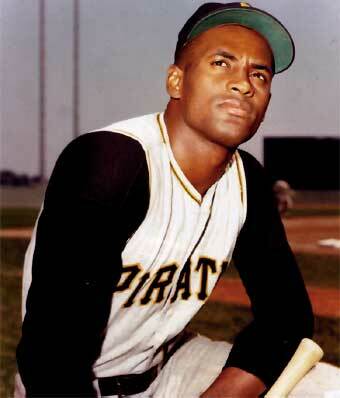 Hall-of-Famer and humanitarian Roberto Clemente (photo at left) once said, "Any time you have an opportunity to make a difference in this world and you don't, then you are wasting your time on Earth." Our sponsors are immensely important to our organization. Without them, we would have no funding and, therefore, would be unable to provide kids the opportunity to play baseball in a Catholic youth sports program. In addition to providing the funding to buy uniforms and equipment, your donation will go towards other much needed efforts, such as our various field renovation projects or our Financial Aid Fund which ensures that every child gets a chance to play baseball in our organization, regardless of his family's financial status. Below: 2016 Alwan & Sons Irish coach-pitch players. All sponsors are included on the PNDYBL sponsor list on this website, with a link to the sponsor's webpage, until the beginning of the following baseball season, although only donors of $250 or more will have their business name linked to their webpage. A corporate sponsor who contributes $350 or more will have the business name listed on the back of each player's jersey for one team at the 12U and under age divisions (see photo below). Sponsorship of a pony (14U) team requires a donation of $450 or more, as the amount it costs to field a team at that age level is more than what it costs to field teams at the younger age levels. All PNDYBL house league players get to keep their jerseys, so don't be surprised when you're out on the town and see a child wearing a PNDYBL shirt with your business' name on it! It's a continuous form of goodwill advertisement that shows your support for Catholic youth baseball in our area. Below: 2016 Alwan & Sons Irish Celebrate their 1st Place finish at the Mossville Midgets Tournament! Alternatively, use one of the secured PayPal buttons below to send in your donation immediately. Please email our President, Jeremy Livengood, to let him know you donated and so we can properly acknowledge you on our sponsors list! Questions? Please contact Patrick Donnelly, PNDYBL Treasurer or Jeremy Livengood, PNDYBL President, today!